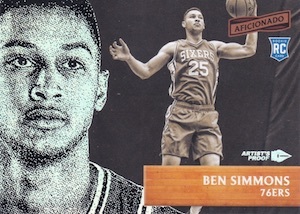 Using the old Pinnacle set as a guide, 2016-17 Panini Aficionado Basketball incorporates the hobby of the 1990s into a modern NBA release with a textured print technology. 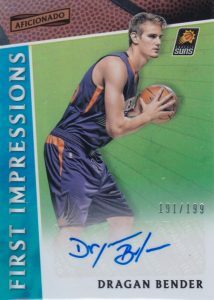 Hobby boxes contain two hits, including one autograph, and each pack averages two inserts or parallels. 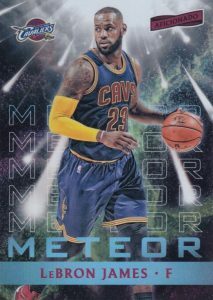 Totaling 150 cards, the base set utilizes a horizontal layout with a dual-image design while subsets include Global Icons and Inducted. 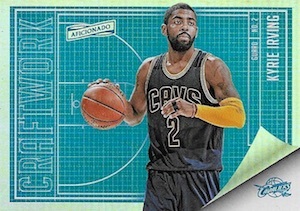 An Opening Night Preview Edition parallel offers another choice in the base checklist. 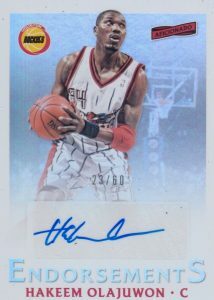 Among the hits in 2016-17 Panini Aficionado Basketball, the main Signature cards also feature a pair of images for each player along with an on-card signature. 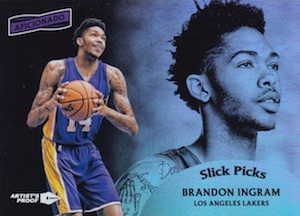 In addition, Endorsements celebrates the league's superstars, First Impressions is reserved for rookie signatures, and International Ink covers the foreign-born players with a flag background. 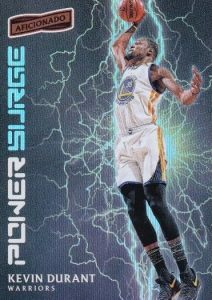 Not just about the hits, 2016-17 Panini Aficionado Basketball showcases some bold insert designs. Meteor goes with an explosive sky background, while Power Surge is filled with lightning. Opting for a more ornate look, Slick Picks lives up to its name. 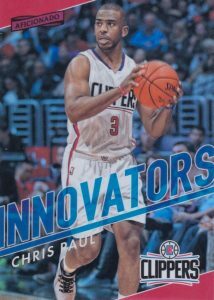 Giving collectors a shot at free cards, 2016-17 Panini Aficionado Basketball is included in the 2016-17 Panini NBA Day Promo. 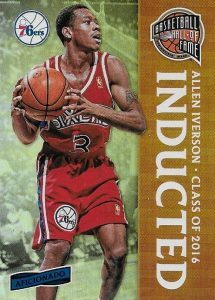 PARALLEL CARDS: Tip-Off, Artist's Proof, Artist's Proof Red #/99, Artist's Proof Gold 1/1. PARALLEL CARDS: Artist's Proof, Artist's Proof Red #/99, Artist's Proof Gold 1/1. 13 cards. Serial numbered #/125. Shop on eBay. PARALLEL CARDS: Prime #/25 (Ryan Anderson #/15**). PARALLEL CARDS: Artist's Proof Gold 1/1. 44 cards. Serial numbered #/49. PARALLEL CARDS: Artist's Proof Bronze #/49, Artist's Proof Gold 1/1. 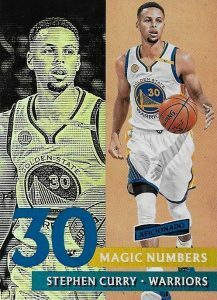 PARALLEL CARDS: Artist's Proof Bronze #/49 (No Pau Gasol*), Artist's Proof Gold 1/1. I have been waiting for a set like this for almost 10 years now. The 2009-10 Studio set is my favorite basketball set ever made. As I get autographs in-person at Celtics games, the Studio set has always been perfect for signatures. My collection of signed Studios is at 36 and I am excited with the similarities in this new release. 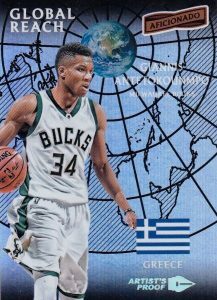 Thank you Panini. It’s been a long time coming! new product not a lot of pizzaz. 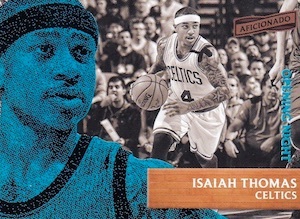 basketball this year is tough since there are no rookies standing out. its a shame simmons got hurt.